This training session enables you to gain a hands-on experience of how “Lean Manufacturing” technology can be practically applied. 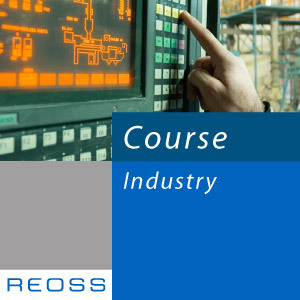 This course enables you to gain a hands-on experience of how Lean Manufacturing technology can be practically applied. The goal of the class is to enable you to improve speed and response, quality, productivity and material requirements to respond very rapidly to the ever-changing customer demand. Lean Manufacturing can be applied to any kind of manufacturing process, regardless of its complexity. The steps to be taken to implement flow manufacturing, from customer order obtainment to product delivery, as well as the role of all corporate functions in this change, are clearly defined. Implement flow manufacturing in the plant to pull production based on customer demand until through to product delivery. Decrease manufacturing lead time and increase production capacity. Manufacture a mix of different products on the same line. Integrate quality control at every production step. Develop a strategy to simplify activities, meet customer demand and achieve significant savings. Manufacturing Managers, Material Resource Managers, Manufacturing Engineers, Material Resource Engineers, Supply Chain Managers. And any other manager or engineer from the other functions involved in the Lean Manufacturing project. Eliminate bottlenecks, reduce the level of WIP, finished products and working Develop a strategy to simplify activities, meet customer demand and achieve significant savings. The theoretical portion of the training is reinforced by practical team workshops. In our model factory, we simulate the various steps to implement a Lean & Flow Manufacturing environment which enable us to convert a traditional factory into a flow organisation. Participants learn by doing, starting to build products in the traditional way and, understanding by the second day of training, how to redesign the factory by applying the tools and techniques illustrated in the theoretical sessions.